Is Sports Direct's battered reputation finally hurting Mike Ashley? Sports Direct issues a profit warning, but was the unseasonably weather really to blame? Shares in Sports Direct fell as much as 13% to 445p this morning after the retailer issued a surprise profit warning. Blaming the ‘unseasonable weather’ over the Christmas period, it said it was no longer confident of reaching its £420m earnings target and now expected full year EBITDA to be between £380m and £420m. The warm winter has apparently hit retailers across the high street, so why have investors panicked so much over Sports Direct? When Next blamed the sunshine for its lacklustre sales on Tuesday, it’s shares fell by half the amount. Could it be down to lingering doubt that Sports Direct’s less than shining reputation is finally coming back to bite it? 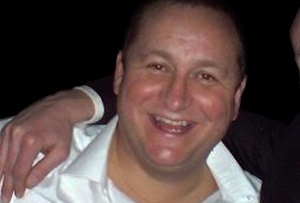 Sports Direct has had its share of public trials last year, ranging from the humiliation of its chairman before a parliamentary commission and its chief executive denying criminal charges over the sudden closure of USC, to shareholder rebellions and the bizarre revelation that billionaire founder and majority shareholder Mike Ashley had appointed his daughter’s 24-year-old boyfriend to head up his property empire. One wonders where Sports Direct would have come in December’s Britain’s Most Admired Companies list had it been considered. Yet while the firm’s corporate governance handbook was roasting by an open fire, its shares remained buoyant for almost all of 2015. You may have been forgiven for thinking that Sports Direct was, like Donald Trump, seemingly immune from the fallout of its various scandals. That seems to have changed. In December, a carefully timed undercover Guardian report into working conditions at Sports Direct’s Shirebrook warehouse (otherwise known as ‘the gulag’) sent shares off a cliff. It’s not hard to see why. The undercover report revealed migrant workers under constant fear of the sack being subjected to 15-minute, Gestapoesque body searches (without pay, naturally) every day to make sure they aren’t wearing any of its 802 prohibited clothing brands. That extends to socks and underwear. Hardly likely to win it enlightened employer of the year, is it? Ashley would have been forgiven if this hadn’t bothered him too much. After all, this wasn’t the first time a scandal had hit the share price. In October, a BBC documentary exposed similar practices to the Guardian report, contributing to a 16% drop in Sports Direct shares, yet they recovered most of the losses over the next two months. A Channel 4 Dispatches into the firm in April that resulted in its warehouse being branded a ‘sweatshop’, meanwhile, was followed by three months of solid price growth. More to the point, as Sports Direct remains a very healthy business - largely debt free, cash generative, increasingly diversified (getting into gyms, expanding across Europe and growing its wholesale business) and most importantly of all, profitable. So long as the customers kept coming, its risks seemed confined to fraught relationships with key suppliers. The likely reason that this profit warning has caused such a ripple is that the disconnect between the firm's repuation and its customers' behaviour no longer seems a given. The company publicly defended its image against the Guardian’s claims. Ashley himself broke his usual silence to promise the Mirror that Sports Direct would ‘set a high moral standard’ and become ‘the best high street retail employer, after John Lewis’. If he's worried that Sports Direct's reputation could hit the bottom line, is it any wonder that investors are spooked?